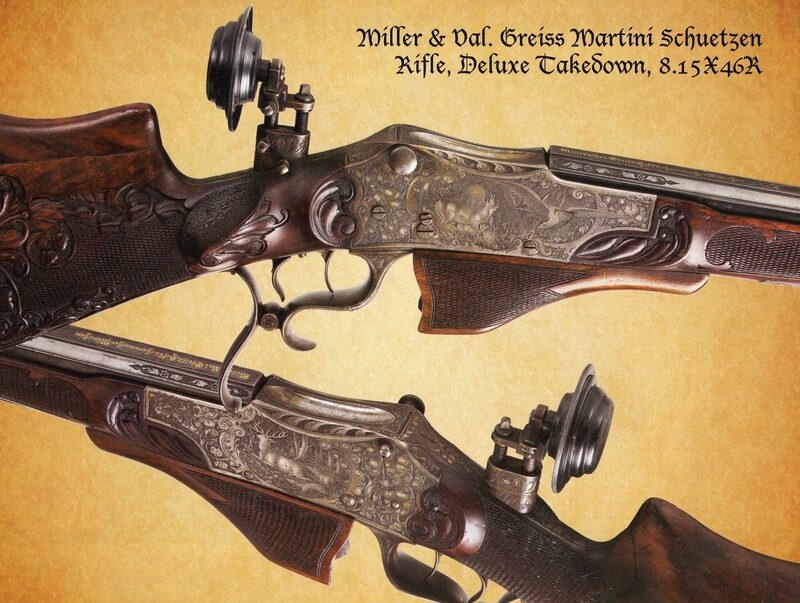 The firm of Miller & Val. 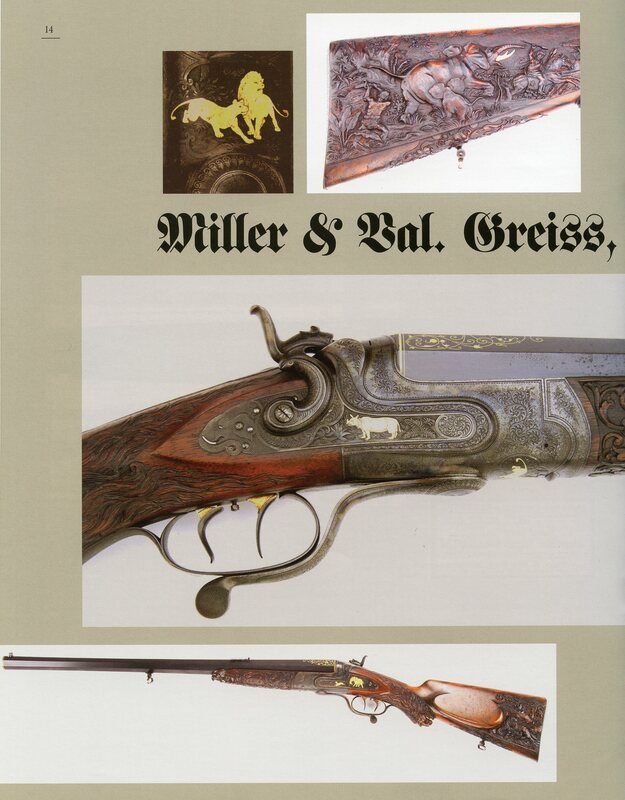 Greiss has it’s origins in a firm known as “Baader & Sohn”. Started by Frans Xaver Baader (1801-1864) around 1830. 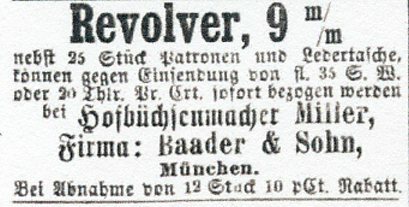 At some point (perhaps at the time of Frans Baaders death) Johann Miller apparently took over the operation of the firm while keeping the Baader business name. 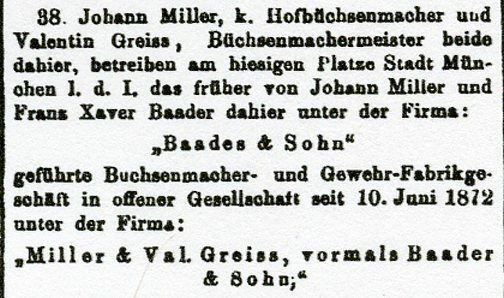 At some point around 1870-1872 Valentin Greiss (April 24, 1835- Dec. 12, 1890) became involved with Johann Miller in the Baader business and on June 10, 1872 it was officially announced that the firm would henceforth be known as “Miller and Val. Greiss”. 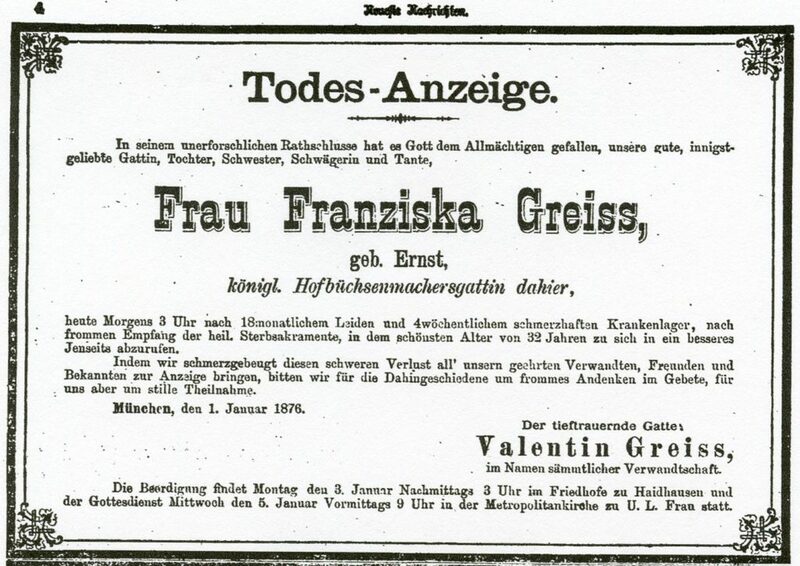 On Jan. 1, 1876 Valentin Greiss lost his 32 year old wife Franziska to an unknown illness from which she had suffered for 18 months, four weeks of which she had been painfully bed ridden. Contrary to what has been written in other sources no Patents (DRP) could be found for either Johann Miller or Valentin Griess. After Val. 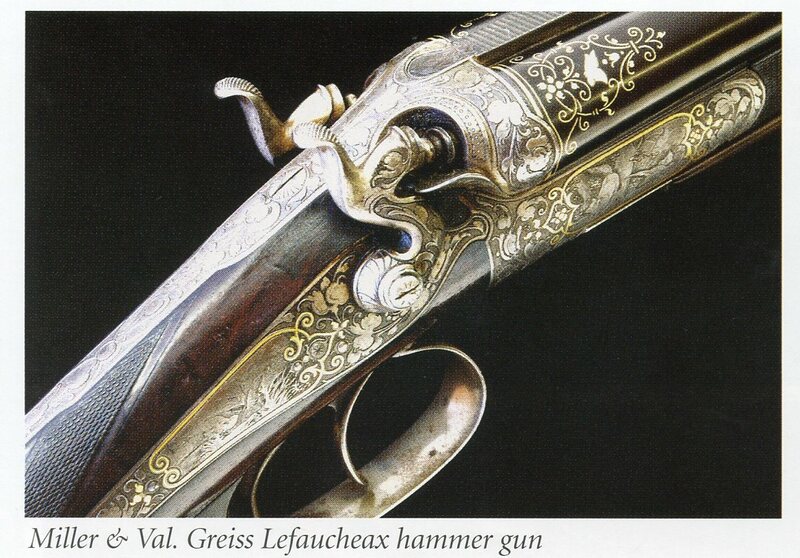 Greiss passed away in 1890 at the age of 55 the gunmaking business apparently was sharply curtailed or ended completely. 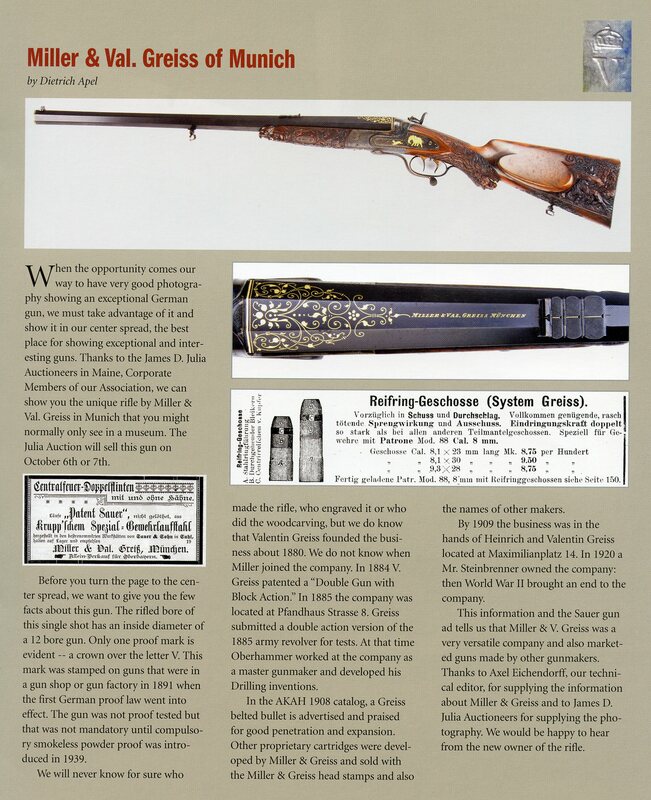 On April 15, 2018 the Rock Island Auction Company sold an unusual side by side breech loading rifle made by Miller & Val Greiss. It is .45 caliber with 24 1/4″ barrels and is serial no. 38303. 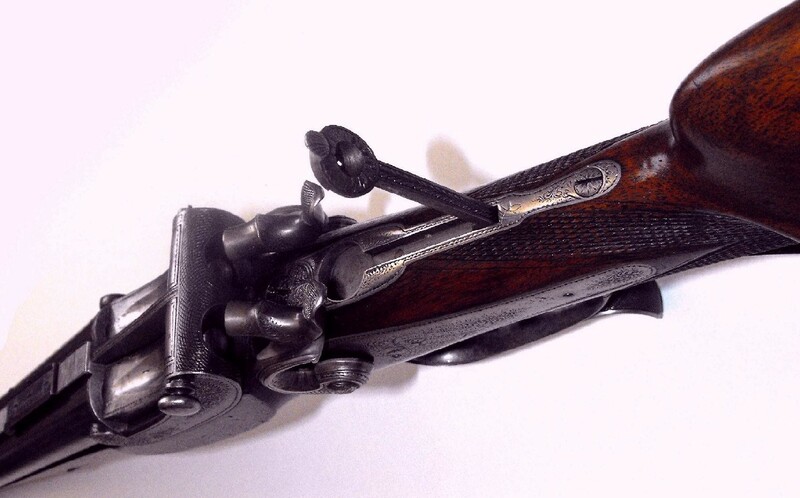 In the Auction description it is noted that the barrels and receiver are one piece. 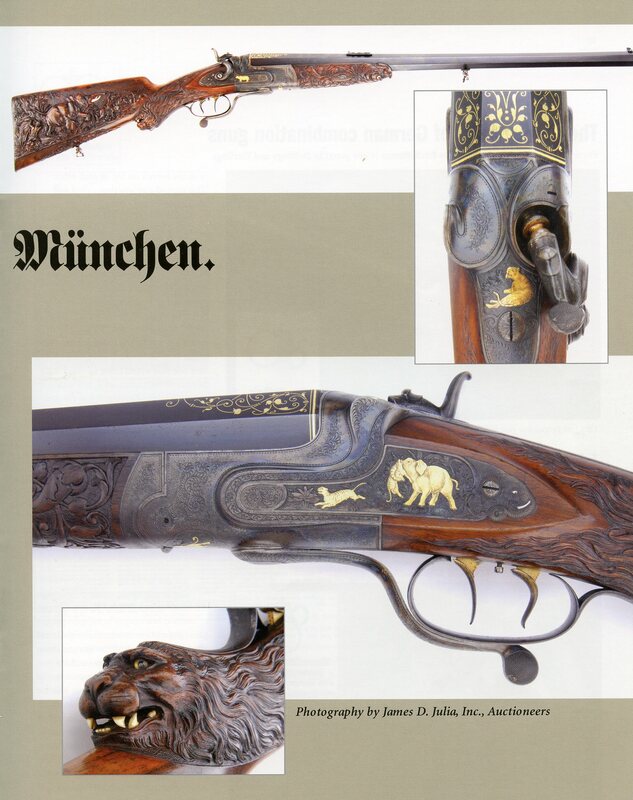 Supposedly consigned by the Great, Great Grandchild of Emperor Franz Joseph I of Austria. The following two images are courtesy of Rock Island Auction Co. 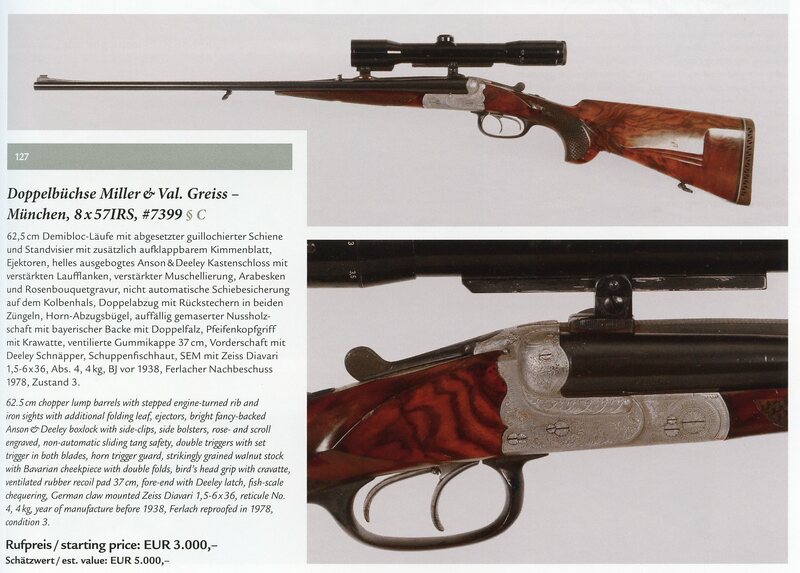 The following photo is courtesy of Mr. Helmut Sakschek, a Wisconsin collector and shooter.